Heat 12-inch nonstick skillet over medium-high heat. Add oil; rotate skillet to coat bottom. Add chicken; stir-fry about 5 minutes or until no longer pink in center. Remove from skillet. 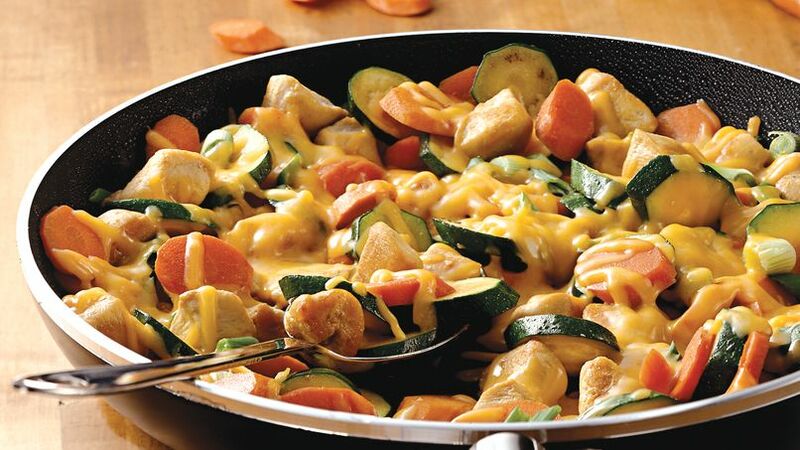 Add carrots and zucchini to skillet; stir-fry 4 to 5 minutes or until crisp-tender. Add chicken and soy sauce; toss until chicken and vegetables are coated with soy sauce. Sprinkle with onions and cheese. Cover skillet until cheese is melted.